What to expect: La Cerveceria sign hangs bright over the hostess station. Let them find you a seat inside on the high top bar stools, or sit out with the breeze on Lincoln Road. We love people-watching, so we chose the latter. 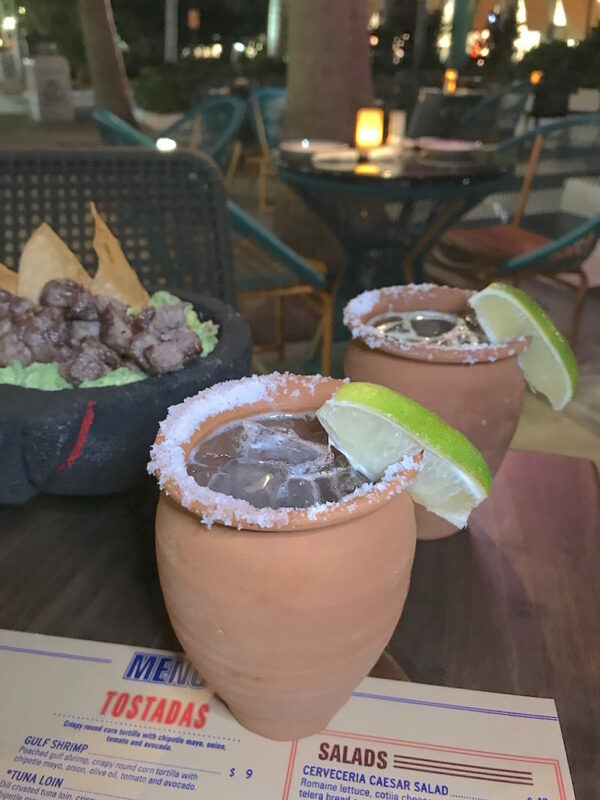 The Menu: From Mezcal cocktails to fresh Margaritas and Fish Bowl drinks, there is a whole page dedicated to the spirit animal in you. Choose wisely. Then flip over the menu to find four types of guacamole preparations. 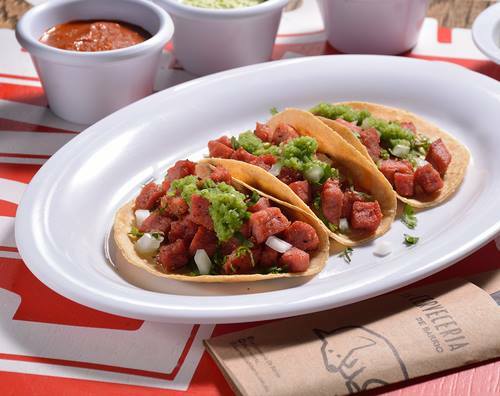 From the Tostadas section, you can probably share one and order a couple rounds of Tacos (3 per order). Salads–skip over that–and check out their Pulled Pork Torta with a chipotle BBQ sauce and Mexican telera bread. 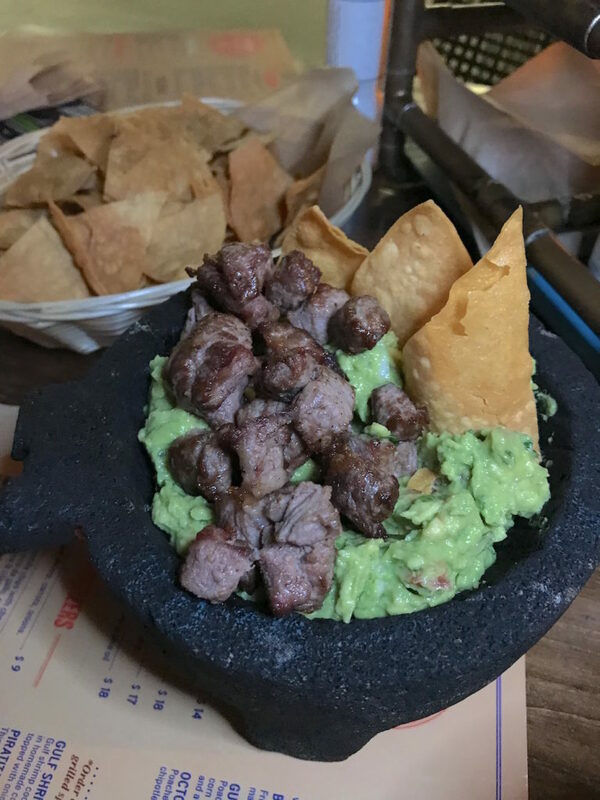 What to order: Start with the Rib Eye Guacamole to share, and jump right into the taco orders. The Molcajete Mixto is also a great choice for the table. Family style is encouraged with some of the portions served here, just FYI. 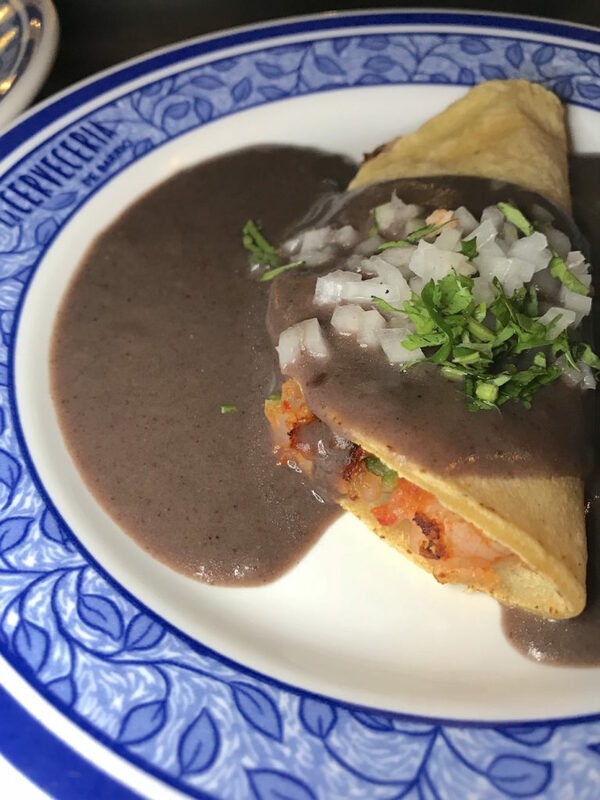 Gulf Shrimp Enfrijoladas: We can eat this taco in two bites. Luckily there’s three per order. The black bean crema is poured over the homemade corn tortillas, topped with diced onion and cilantro. Treat this as an appetizer for two, or make plans for dessert. Molcajete Mixto: Can we have a to-go box? What! This was more than enough for two people. 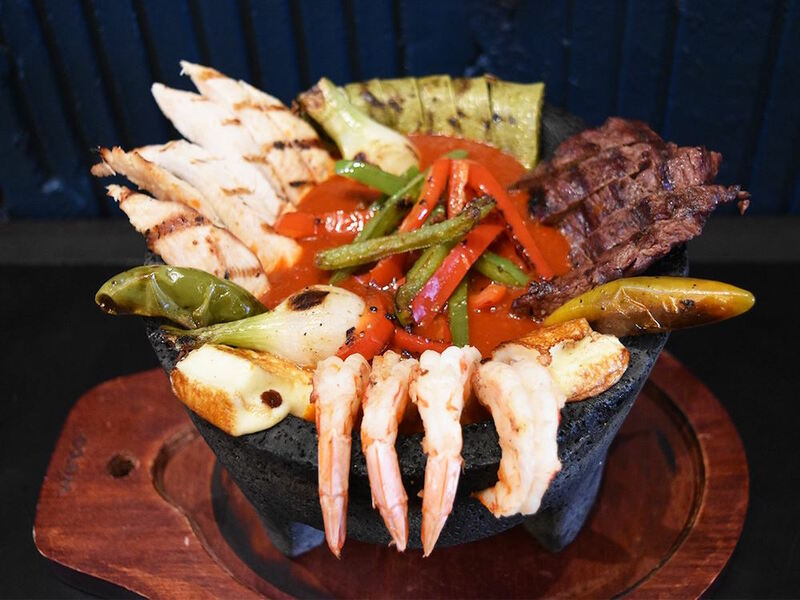 Keep in mind a lava rock bowl is filled to the brim with skirt steak, strips of chicken breast, gulf shrimp, fried panela cheese and even cactus leaves. In the center you’ll find a red guajillo sauce that’s perfect for topping off that loaded tortilla. Corn Cake: We had to talk about this dessert! Our server, Raul, recommended we order it with a scoop of vanilla ice cream on top. 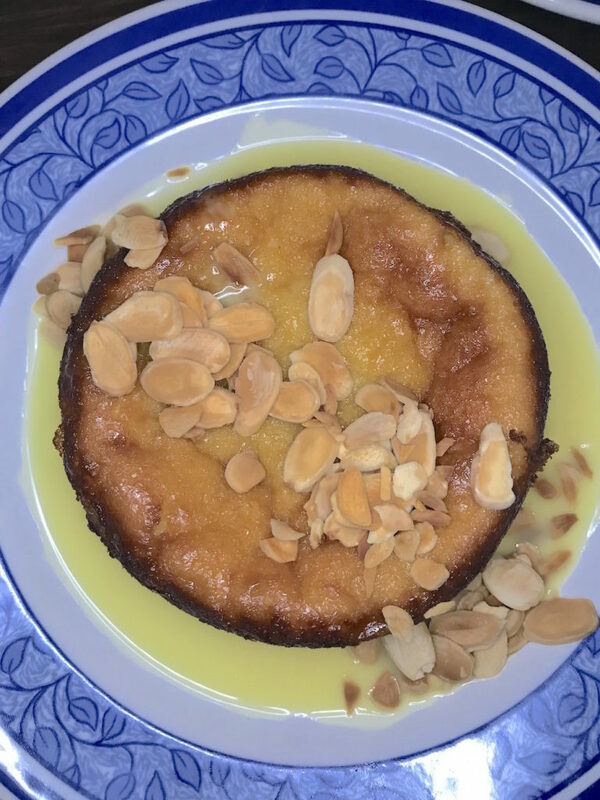 This spongy corn cake is placed over a small pool of a sort of honey rum sauce, then sprinkled (heavily) with toasted sliced almonds. Off the menu: Extra hot sauce, please! How to score a table: Reservations can be made online or over the phone.